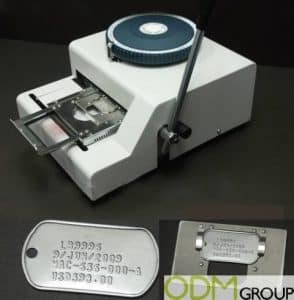 Here at ODM, we are committed to creating promotional products, merchandise, and marketing gifts for various companies and businesses. We make sure that our clients receive high quality promotional products made exclusively for their company. We understand how important your business is, that's why we do everything to ensure every marketing merchandise you receive is tailor made to your business needs. The right promotional product could elevate your business to the next level whilst they also represent your corporate identity. If you are looking to find more information or discuss your project in detail, please fill in your information and we will reach you quickly to answer your queries. Our team conducts factory visits to make sure your promotional products are made according to your requirements. Our creative in-house designers at Mindsparkz provides high quality design. They also work with partner merchandisers to combine cost-effective sourcing with the most ideal manufacturing strategies. Our personalised promotional products and gifts are consistently quality checked. By maintaining these high standards of audit we can ensure our promotional products and gifts are of the highest standard. We expect your desired personalised custom promotional products to arrive as you ordered them. Meeting the corporate standards is how we do our business at ODM. Creative graphic and product designers are ready immediately to brainstorm with you. Our custom promotional product ideas consultants are ready to assist you with this process. 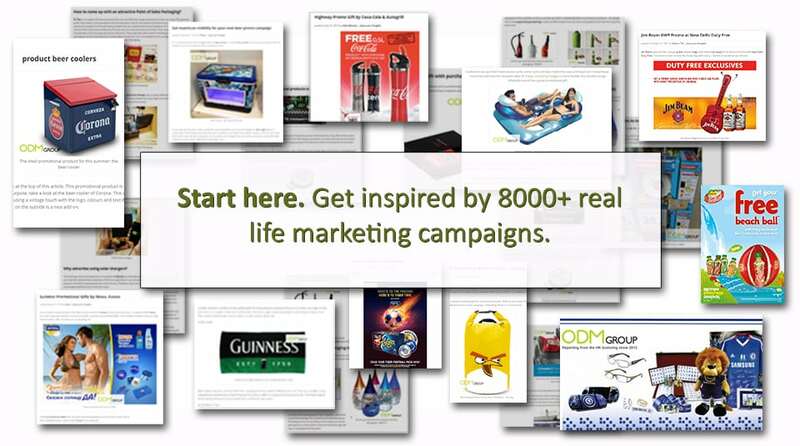 With over 8,000 case studies from around the world on our blog we know what works in the marketing field. You can view many of the personalised and custom promotional products we have made for our corporate clients previously. Growing your business by increasing your brand awareness is essential to ODM. 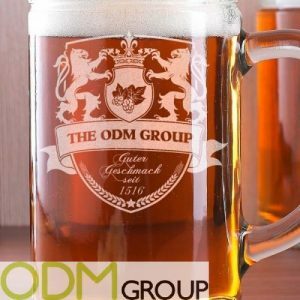 What should you expect from ODM? Our creative designers can provide product designs tailored to meet your business needs. To learn more about our services contact us to discuss the best possible promotional and marketing solution for your business. Visit our blog for new promotional ideas. We have rounded up some of our favorite promotional products below. Being heard in the industry is difficult. You have to innovate with trends for consumers to pay attention to the brand. If that does not work, you experiment with your own and hope that they will laud you for it. 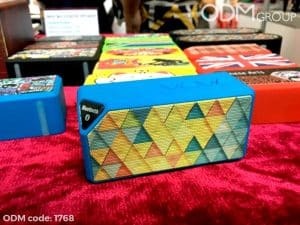 But in case you want people to hear you out quite literally, why not offer personalized Bluetooth speakers? Contact ODM to learn more about how we can help create branded promo items for your business. On a recent trip to Changi airport we snapped a new promotion by The Macallan. They are offering completely Personalized Marketing Gifts or items in Duty Free stores and this is something that none of their competitors is doing right now. Congratulations on being first to market! If you like to know about how we can help you succeed with personalized promotional products, contact ODM today! One of the most popular events in the world is the Oktoberfest in Munich, Germany. Every year millions of people come to Munich to visit the event, therefore there is a fantastic opportunity for offering merchandised products. In their own online shop they offer for example different customized products. Feel free to contact us about how we can help you design customized and personalized promotional products for your brand. 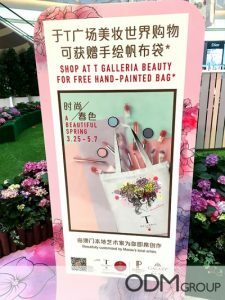 If you went to Macau in spring, you probably saw that the T Galleria, part of the famous Galaxy hotel, is currently doing a promotion for a free hand-printed tote bag. T Galleria are part of the Duty free market, which is one of the biggest malls in Macau. Contact us to learn about how we can help you create unique promo products to boost your brand. We recently posted about our Notebooks with Powerbank and USB. 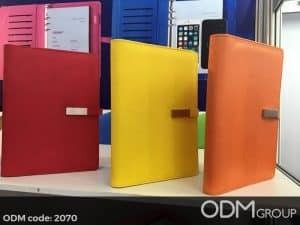 This product has been very popular here at ODM and now we have the emergency charging notebook which has several design improvements. ODM will help you design beautiful and useful personalized promotional products for your business. Contact ODM today!